Not only has Nintendo made a great case for their upcoming New 3DS, but they’ve somehow breathed new life into the Wii U over the past year. The console had the very best exclusive last year, and Splatoon could very well be one of the best titles of 2015 as well. But how much do we really know about the quid ink shooter? Apparently, not that much at all. That’s why the recent interview with producer Hisashi Nogami by Famitsu Magazine is so darn interesting. 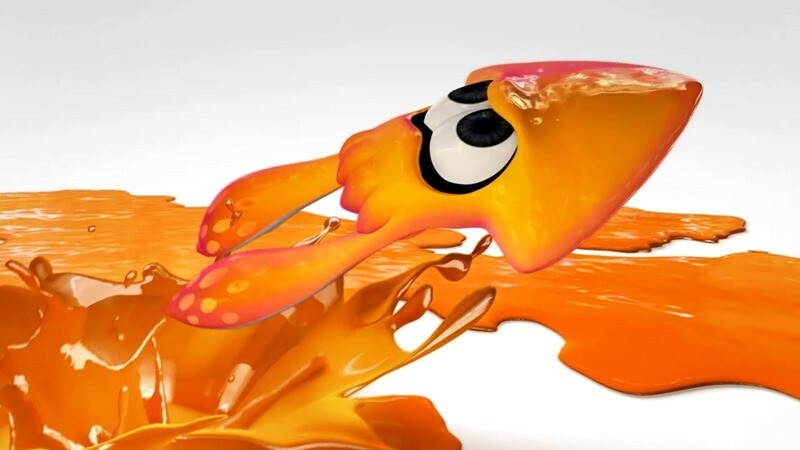 Nintendo has already revealed that Splatoon will feature a single-player campaign, called Hero Mode, but didn’t really elaborate on how it would differ from the frantic online shooter component. Hero Mode isn’t going to play like an offline version of online play, but rather transform the game into a third person platform. A platformer that relies on the fast ink movement as a core mechanic. There’s also new details regarding online lobbies, which won’t be populated by computer controller players at anytime, and why squids were picked as characters for players to control. Check out the best bits of the interview blow, translated for your easy reading pleasure. The Inkling city (where the plaza is) is known as ‘Highcolor/Haikara City’ in Japanese. The concept of two teams of four shooting ink in a turf battle has been there since the original prototype, even though the characters where tofu-like blocks at the time. They experimented with other team sizes, but found with more than four players felt like they had little effect on battles, and with less than four that they had too much responsibility. Killing/attacking opponents online to prevent them from painting ink is just one strategy to win. You get no points or advantage directly from doing so. Hero mode uses basically the same controls as online matches, so anyone with difficulty in the can use the hero mode to practice. Ideally, you’ll be matched with players of a similar rank to you (based off of experience points earned in matches). If not enough players, they’ll put you with people further away from your rank. If there’s only 8 players, you’ll be matched together. While online is focused on just painting the ground, hero mode focuses on using the ink to move forward. Amano says he wants you to be able to look at the map on the GamePad and see where needs to be worked on for your team. No way to directly communicate with people you’ve been randomly matched with. They will appear post-match in your Plaza, where you can check out their gear, weapons, and comment. They picked squids because they were the best at representing the gameplay present in the prototype. Music for stages is random. Possible that I’m misunderstanding, but each player will have a different song while playing. Music is designed to be the sort that would be popular with the young Inklings involved with the turf battles. Rather than making some huge number of stages, they want to create stages that feel different when you use different weapon combinations. You don’t earn money for gear in single player for balance reasons. Someone could grind money in hero mode and have their first online match with high level gear. In the final stages of development now. Aiming for, more or less, a simultaneous worldwide release. They plan on supporting the title post-release. I’m a little wary about the fact that multiplayer games won’t start until they’re populated with eight players, as that can lead to some long wait times and a hell of a lot of frustration. I know Nogami mentions that the game doesn’t feel right with less players, but I think giving players the option to force start games with nearly a full house would be a better option. Especially if AI isn’t factoring in anywhere. Also not having communication available to team members is a little disappointing for a game with a competitive nature. Still, Hero Mode sounds awesome and I love the fact that the focus in both modes is more on ink the environment rather than directly killing opposing players. That’s what made Splatoon stick out for me during the reveal, and it’s probably what’s going to keep me hooked when the game launches this May.